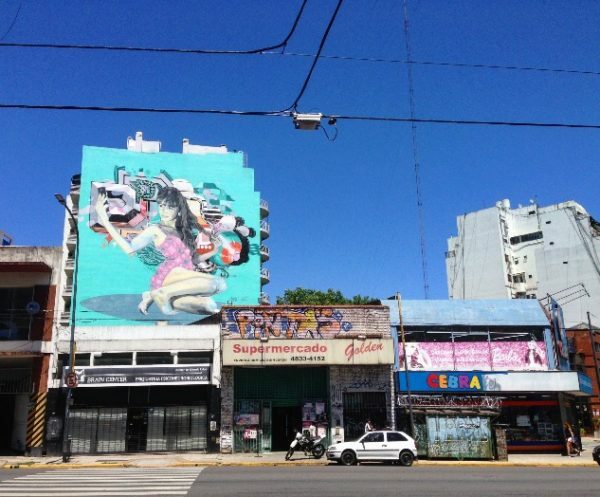 Buenos Aires is known for being a sultry city where daily life unfurls with drama and passion. It is a vibrant place enlivened with tango, theatre, world-renowned wines, emotionally expressive people, and a flourishing fine arts scene. Since moving to “La Ciudad de la Furia” I can indeed vouch that any trip should indeed include a good Malbec, quality Argentine grilled beef, and an afternoon spent exploring the colorful La Boca neighborhood. That said, limiting your stay to these well-defined boundaries would be ignoring something crucial. Buenos Aires is an exceptionally dynamic place bubbling with new takes on old clichés. Here are a few new ways to eat, drink, and dance like the Porteños of today. You’ve probably heard about a handful of districts in Buenos Aires already. There’s the central Caballito and San Nicolás where the Obelisco stands nobly amidst glitzy theatres and skyscrapers. There’s the colorful, gritty La Boca; there’s San Telmo, humming with tango music and the cacophonous chatter of weekend ferias. The ever-expanding Palermo is a mass of different upscale enclaves featuring boutiques, chic restaurants, and Pilates studios. Two other barrios that I’ve also found to be worth exploring are Villa Crespo and Chacarita. Both are adjacent to Palermo and carry some similar traits: great food, interesting shops, and cafes—but combine them with refreshing elements of tranquility and familiarity. There are more leafy side streets and less pretentious places to hang out. You’ll find fewer tourists and be able to watch local life as it unfolds in real time. Even though a genuine love for the asado is still widely held and though empanadas are a common snack, emerging restaurants offer renewed versions of traditional favorites in tasteful—and tasty— new ways. Rita in Chacarita is a perfect example of this. In this light and airy space, dishes are derived from local ingredients and feature fresh takes on old specialties. Chori in Palermo is another example where natives have totally transformed a ubiquitous staple, choripan (a type of grilled chorizo sandwich traditionally served with chimichurri). Choripan is sold at countless roadside stands around the city, but these guys have won awards for their more daring renditions of this classic, serving the chorizo with tangy pickled veggies and their own special sauces. Buenos Aires is full of cafes that range from classic hubs like Varela Varelita to third wave flair like Cuervo Coffee, both of which are located in Palermo. 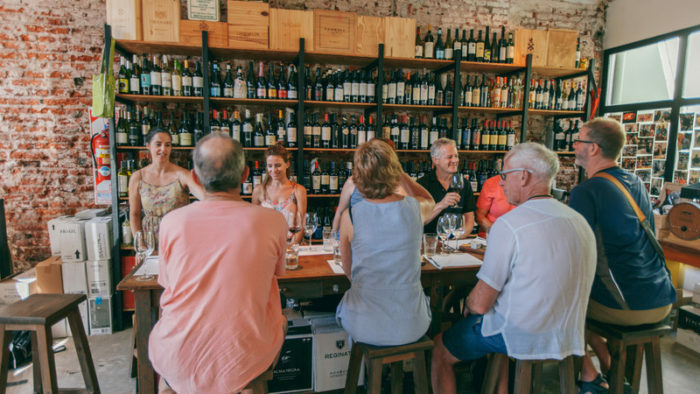 A great spot to get an authentic experience with the freshness and genuineness of contemporary local life is at Café Crespin, located in Villa Crespo, not far from Palermo Soho. 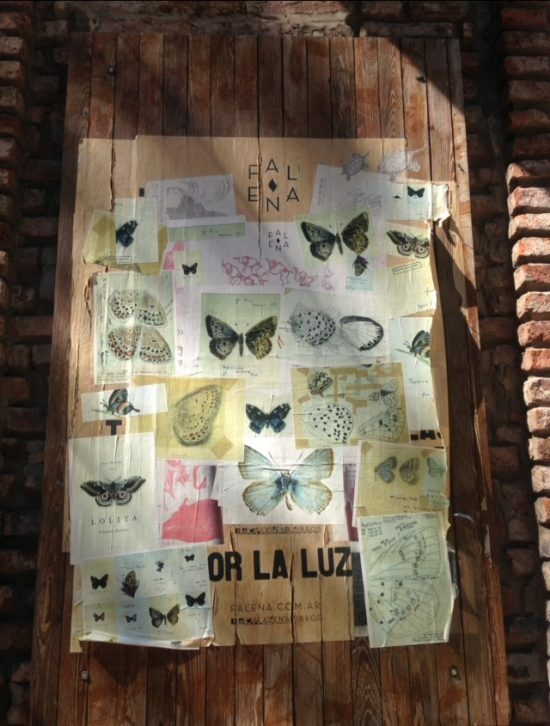 This is one of my favorite places to cool off with a lemonade on a hot evening or to savor some real Argentine coffee and factura pastries amidst families and young creatives on a lively street corner. Of course Argentina is known for its wine–Malbec and Syrah in particular. While most of these are produced in other regions of the country, it’s possible to enjoy a glass (or few!) in some pretty perfect settings with a real sense of buena onda. I recommend wandering down the aesthetically Parisian Calle Caseros in San Telmo and finding a wine bar that suits your mood. Buenos Aires is a city known for its drama, especially when it comes to performing arts. It’s home to 300 theatres, the most famous of which is Teatro Colón. Teatro Colón’s sumptuous and resplendent interior is at least worth a look, even if you don’t want to see a play. Meanwhile, Avenida Corrientes is often considered to be South America’s Broadway. Here, you’ll find the famed and more modern Teatro San Martin. If you’d like something a bit more off the beaten path, however, there are a slew of indie theatres constantly pushing the bounds of performance. Timbre 4 on the eastern edge of Caballito and El Extrañjero in Almagro both have programs worth keeping an eye on. 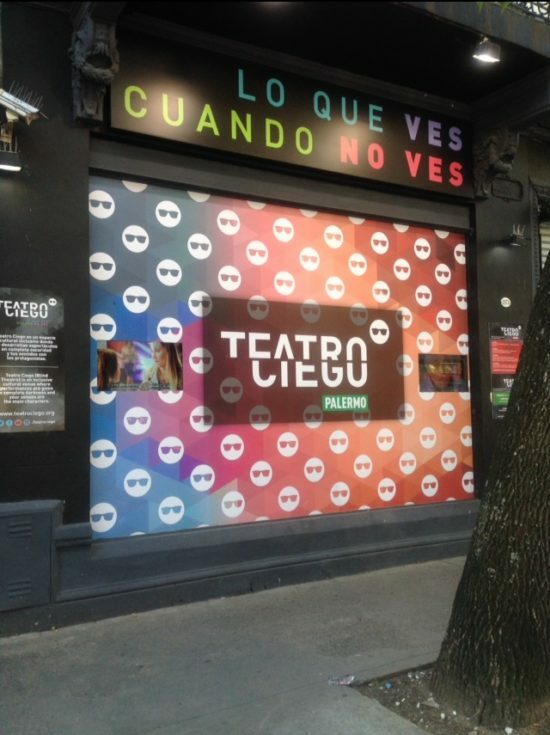 There’s also Teatro Ciego in Palermo where your eyesight is obscured in total darkness and your other senses are engaged in this completely unique take on theatre. If you’re having trouble sifting through it all, AlternativaTeatral.com is a useful resource. While tango is still a common fixture in barrios like San Telmo, and there are reggaeton-bumping boliches frequented by the city’s youth, there is much more to the BAires music scene than this. One artist who embodies the city’s musical evolution can be seen in the beautiful, almost otherworldly Juana Molina. She is a famed Argentine actress turned singer, and in her later years has been greeted with unexpected success and a devoted following. Molina’s music really captures the essence and spirit of Buenos Aires, and I got butterflies listening to her on the place as I descended into the city for the first time. As for where you can listen to some of Buenos Aires’ bests in the alternative scene for free, check out Camping in Recoleta. Enjoy heartfelt tunes under the twinkle of string lights, vaso de vino in hand. 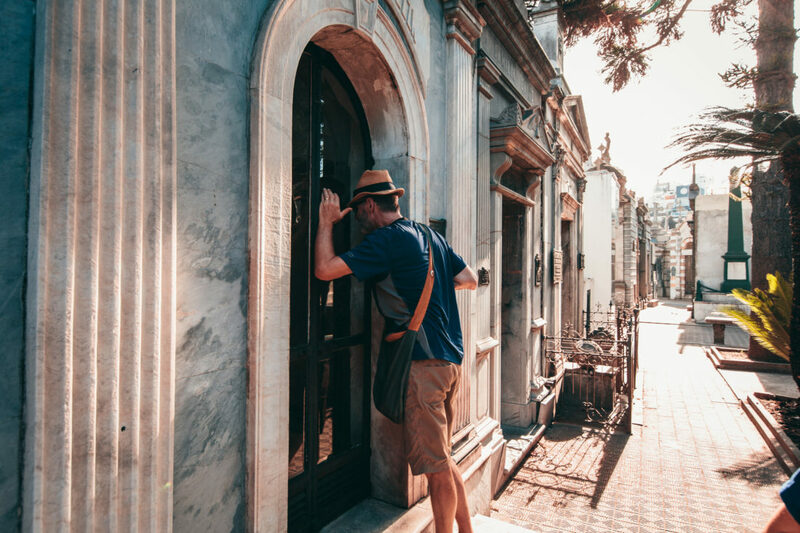 Along with theatre and music, Buenos Aires has been home to many accomplished Latin American authors, the two most famous of which being Borges and Cortázar. Today, many repeat the adage that Buenos Aires is so filled with bibliophiles that even the city’s homeless usually have a few books in their possessions. I have yet to confirm whether this is really true, but I can say that there are tons of intriguing bookstores located in just about every district. El Ateneo Grand Splendid is certainly the most famous. It’s a former theatre and is now widely regarded as one of the most beautiful bookshops in the world. 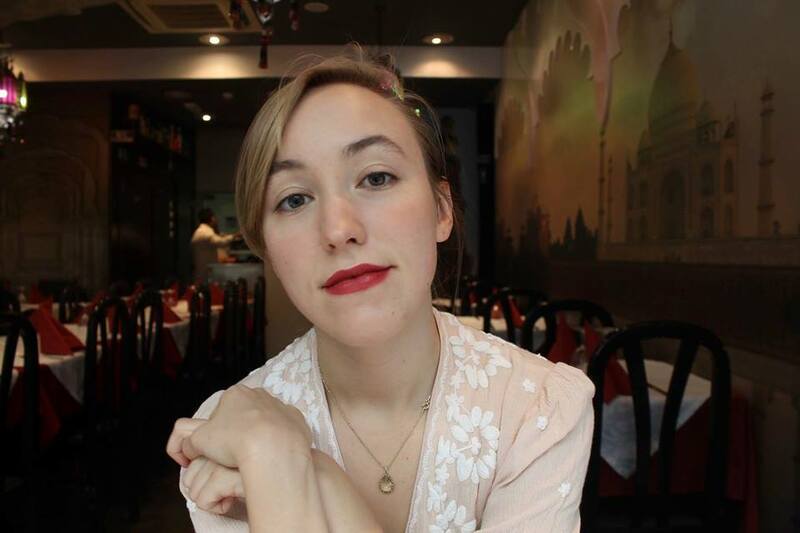 In addition to this one, two lesser-known options also worth checking out are Libros del Pasaje in Palermo, which has a great ambience and charming café, as well as Falena, a smaller shop tucked off the beaten track in Chacarita. Falena’s leafy courtyard is my ideal sanctuary to sip on wine as I page through my new acquisitions. Buenos Aires is also undeniably a hub for fine arts, with people hailing from around the world to take part in its evolution. While Museo Nacional de Bellas Artes and MALBA are the obvious picks and surely worth visiting, there are many other smaller independent art galleries to visit where you can immerse yourself in the latest of what’s happening in the art world. Barro, in the riverside district of Almirante Brown, is generally an excellent place to catch a contemporary art exhibition. UV Estudios, located in Palermo, is more independent and provides quite the insider experience. Alternatively, the highly established Ruth Benzacar Art Gallery in Villa Crespo is known worldwide for its prestige within the realm of contemporary art. 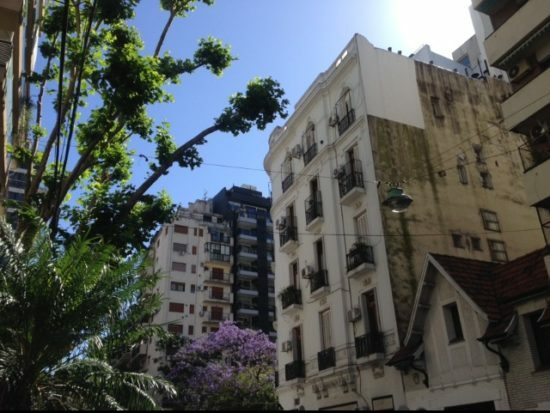 Contemporary Buenos Aires is a place that blends and repurposes old with new in myriad ways. Although all the traditional stuff is enough to fill any itinerary, sprinkling in a few of these fresh takes on the city will make your journey into something even more special. Ready to explore this spectacular city? Check out Peregrine’s range of tours in Argentina.